Windows Update is a Microsoft service to update Windows components for any version that is still supported. The topic focuses on the importance of updates to the Windows system. Tips for any other system can be considered as such. Many do not know the reason for the existence of updates and their importance and some consider them annoying things to the user of Windows system, but we will explain to you the most important things important to the updates of the Windows system. The loopholes are one of the most important priorities for updating the system. There are loopholes that are discovered in each system where hackers can exploit Exploit to enable the control of the victim’s device or access to other possibilities according to the type of flaw in the system. You may have heard of the ransom virus, Vulnerabilities in Windows 7, 8 and Windows Server for remote deployment only once connected to the network, the risk is very large as downloading updates continuously reduces the threat by a large percentage. Do not miss any system of errors at the very first version of each system where many errors appear and require a lot of updates to fix them, for example those errors that came down in Windows 10, one of which updates to raise and extinguish keyboard lights and updates and problems with compatibility and with some external devices when the completion of the update These problems are automated without resorting to maintenance and external programs that may not be reliable. There are updates available to reduce the spread of some viruses or reduce the impact on the system where there are harmful files if you enter the computer is disrupting and impacting heavily on the Software and Hardware or can encapsulate itself or advanced work in the manipulation of the system where Microsoft is developing the system Providing special updates to repel certain viruses or resolving defects you may hear for some viruses that cause too much damage to the system. Microsoft provides updates for some features It is not required that the new features in a new system may be available for the same system Examples of features that come with updates and Windows Hia graphics and some settings and facilities for the user and the advantages associated with the Internet and networks may be linked to some of the programs in the Windows system. 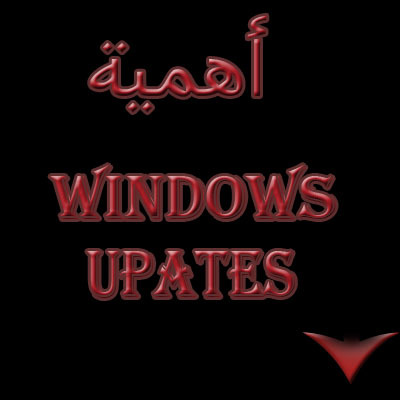 Dear Reader If you have a genuine version of Windows, do not hesitate to update it to the latest update available in the fastest time in order to protect you and provide a lot of advantages in the use of your computer. This is known as the importance of updates to the Windows system.